Follow the story of the commanders who survived the attack on Terra, as they Forge the Alliance and seek a safe haven in the Outer Rim. The escape is cut short, however, and Dr Tali finds herself at the Mercy of the Machines! Or Join our Discord to interact and give us feedback live! Alliance version 7 released! Demo end cliffhanger revealed! NIGHTSTAR: Alliance Early Access Update 3, Colonies. Now available! 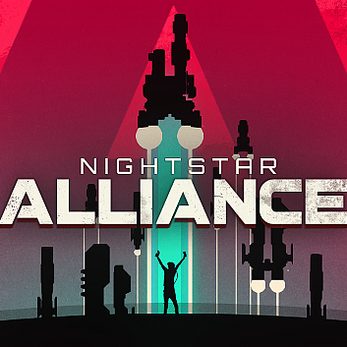 NightStar Alliance steam page is now live! Give us a follow and stay tuned for all the new in the next several weeks as we launch to the stars! A quick update with minor fixes an experimental exit and a cliffhanger ending! 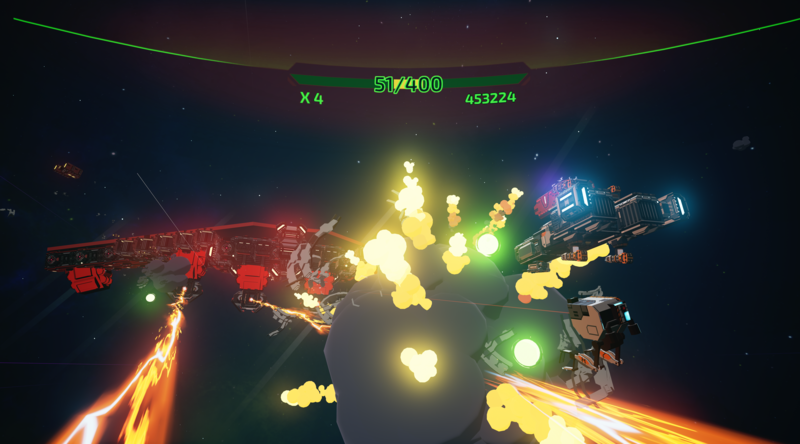 -Weapon damage from enemies has been slightly reduced to increase survivability (approx 10% reduction). Some recent changes to enemies has made them fire more often and this is mean to counteract that effect. - End boss cut scene and cliff hanger ending has been added to end of sector 4. Get there and post a screen shot for us to prove you have what it takes to go to sector 5! -Leaderboards were recently reset with re-balanced scoring and should become active with naming as soon as we are on steam. Good luck pilots! An Alliance must be forged and the colonies must be saved! Tactical battle analysis is improved with advancements in augmented heads up display technology. Communication with the Alliance Commanders will help us escape the Supremacy and new recruits will receive a higher quality commander guide on their first launch. A Supremacy warship has been detected 3 sectors from our current position. Reach the waypoint to engage the enemy and save the Alliance from total annihilation. Attack Fleets have been upgraded with state of the art Module Awareness Protocols, aka MAPs. 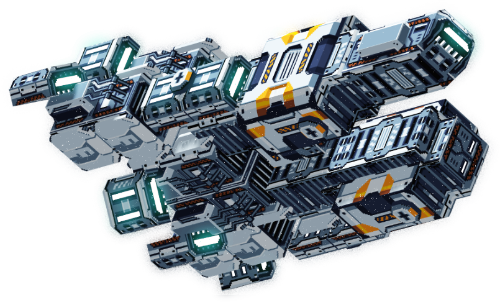 To assign modules to the MAP simply ensure that modules are positioned in the general area of a Colony ship, or attach them directly with BOP Utility drones. A recent intercept mission returned with grave news, the Supremacy have began utilising autonomous torpedo and homing technology in their arsenal. They are hell bent on eradicating the Human race, but with this information, we may have the upper hand. Captain Auron has already developed weapons technology to counter the Supremacy's use of autonomous projectile weaponary - incoming threats can now be destroyed if the right crew is up for the task! Aim true Commander. 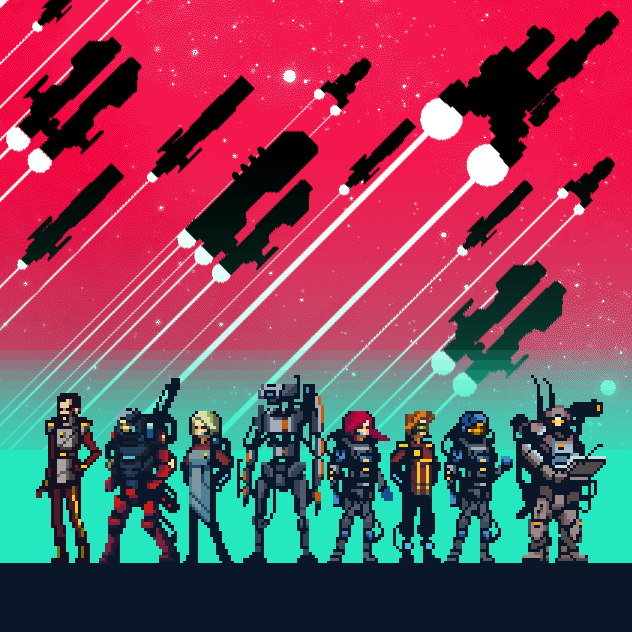 There has been speculation to whereabouts of Commander Rayne of the Forward Lance, last seen defending the colonies of Mylon-4, drawing the enemy, and himself into an active wormhole. The attack was one of many ambushes orchestrated by the Supremacy Hive mind AI that threaten Humanity today. Recent excursions to find a safe path to the Outer Rim have been met with heavy resistance from the Supremacy. Each jump leads to new challenges, most recently, a fully armed Fleet supporting a Destroyer Class vessel. The fallen shall be forever remembered. I don't think this really needs many words. Version 3 of Alliance is now Live! - Reticule Added to hands and weapon aiming tweaked to allow easier target acquisition! Light em up! - Alliance Primary Weapon is a static cockpit mounted weapon "mesh pending" and will look similar to alliance visuals, its fairely slow and weak but strong enough to get you started in the world - it will be a cool little story point i think - a little bop gif attaching the first weapon to the alliance for its flagship voyage maybe! - Enemy Health was never actually setting to max from the health setting, so now enemies are actualy using that which is good! Eh! sigh! my bad! - Weapon Types have been defined a little better, Phase is pewpew automatic, burst weapons are the only ones that do burst shots, Bruno felt that shotgun charging was bad and removed it for use on other weapons, in future, maybe lasers only and rockets? - Module Spawning is now rarer with 6000 chances (from 2000) to spawn nothing. Ive still been getting one within the first minute or so. There is no longer a "module helper" and modules will never spawn randomly anymore to help the player as they have a primary weapon that is infinite ammo! - Enemy Pathing Edited to stop them circling so close to you and allow you to shoot them up proper good like. Nice concept! I like how you're handling the controls, and having your hands be robot drones is clever. I wish the modules were a little easier to get onto your ship - like maybe you could just point where you want them to go and the robot installs it. I also tried driving my ship into them a few times only to have them bounce off. Also (and this may be my personal preference), I like when enemies are a bit easier to kill rather than being bullet-sponges. Lowering their health may make it more enjoyable. Keep up the good work! Much appreciated.. we are doing a bunch of refinements and we have some of the same ideas as you. New build will be updated today.. give it a go! Awesome! yeah.. it was alot of small simple things.. and hopefully it just gets better and better! Added discord link. Feel free to come give us live feedback while we work. cheers! Feedback survey is live! Apologize as I forgot to make it public!!! Beta is Live! download link is at the top and bottom of the page! We expect the first Beta Build to be up in the next 24 hours. Stay tuned!